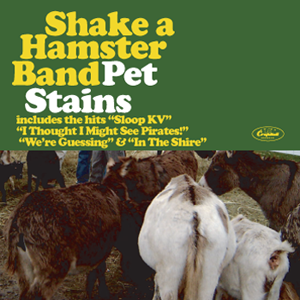 The Goat Posse began rather inauspiciously when Captain F. showed up at KVSC in January 1994 to satisfy a longing to be on the radio. As he worked to complete his training with then training director Ed Fish and final On-Air approval from Nature Hamster; Station Manager Jo approached the Captain with a trivial proposal. The Captain was asked to volunteer on the phone bank during Motel Trivia. Hooked-in by the spectre of a free T-shirt for 15 hours of volunteer time, Captain F. soon found a home on the phone bank. The following year, Captain F. had fully integrated himself into KVSC operations and was joined by SCSU Alums Wildman and Dude on the challenge line during trivia. 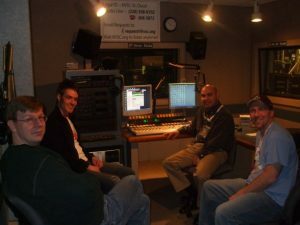 The slowly evolving Posse enjoyed spending the hours taking calls and producing original productions designed to enhance the trivia broadcast. During this time, another tradition began as the Goat Posse always staffed the inaugural phone-shift of each trivia. 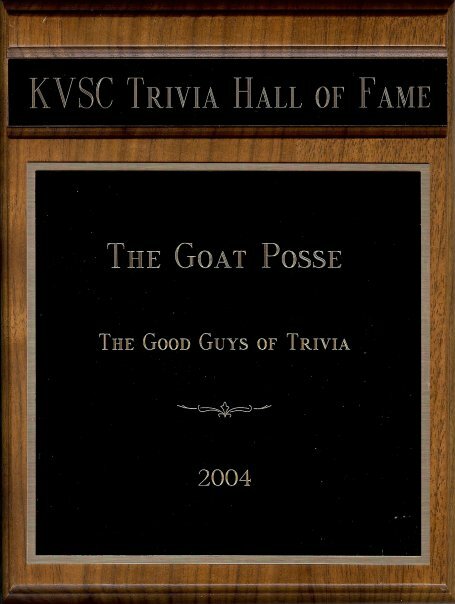 The Goat Posse received its official moniker in 1998 during Trivia Sells Out. It was an especially creative year as the Posse cranked out many spoof commercials to honor the theme. The output was recognized by Station Manager Jo at the awards ceremony who mentioned the work done on the challenge line by “Fareed and his Posse”. Thus the legend was born as the group quickly adopted “The Goat Posse” moniker which was derived from a long running inside joke amongst the group as well as its penchant of carrying sheep stuffed animals around the Trivia HQ for inspiration. In 2000, the final charter member of The Goat Posse began attending trivia. Phal was a freshman year roommate of Captain F. and part of the circle of friends that included Dude and Wildman. Phal transferred to another school after that first year, but joined the Posse and has been a stalwart member since. Over the years the Posse has had many members that have come and gone as yearly schedules have permitted. Each year the Posse has welcomed whomever could attend and offer creative contributions. In 2001, Captain F. began producing an involved audio piece referred to as the trivia INTRO, a montage of movie and TV quotes set to music used to introduce the theme of the contest. Inspired by the ever complicated musical introductions utilized at sporting events, Captain F. felt trivia needed the same treatment. The template for the intro came from a promo for 1995’s Dial-T-For Trivia. (which was produced by KVSC Alumni Troy and Dave). The first actual intro was produced by Captain F. in 1997 for The T-Files. It was a short 1-minute piece tagged on the end of a 10-minute retrospective of trivia audio past. That intro contained scraps of audio left over from day-to-day KVSC productions from that year. It was not until 2001 that the Intro was seen as an entirely separate production with efforts being made to find specific audio and music to introduce the theme and pump up the teams right before question 1. The success of the intro in 2001 set a bar that The Posse tries to raise each year for fear of disappointing themselves. Each year since that time, the INTRO has grown in complexity and is a true expenditure of creativity that herds the Posse back to trivia each year. 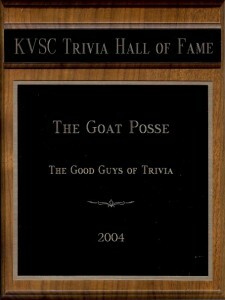 In 2004, the Posse was inducted into the KVSC Trivia Hall of Fame. It was a tremendous honor for the group and they feel fortunate that KVSC lets them come back every year and contribute. Aside from the charter members of Captain F., Wildman, Dude, and Phal; the Posse has had many other members that come and go as time permits each year. Their creativity has contributed tremendously to the Posse brand.